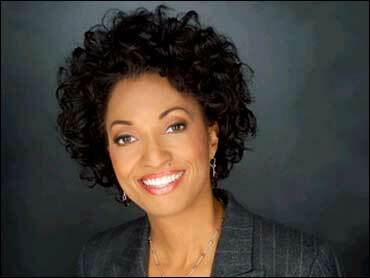 René Syler has been an anchor of CBS News' The Early Show since October 2002, when it debuted in its current four-anchor format. She has conducted one-on-one interviews with first lady Laura Bush, Colin Powell, and Sen. John McCain, as well as NASA's first female shuttle commander, Eileen Collins. She anchored from Punta Gorda, Fla., covering the aftermath of Hurricane Charley, and from Washington, D.C., covering the events and ceremonies of President Ronald Reagan's funeral. Previously, she anchored the noon and 6:00 p.m. newscasts at KTVT, the CBS owned station in Dallas (2000-02). Before that, Syler anchored the noon and 5:00 p.m. newscasts, beginning in 1997 when she joined the station. She was the morning and noon anchor at another Dallas station, WFAA-TV (1992-97). Syler was the weekend anchor at WVTM-TV in Birmingham, Ala. (1990-92) and at KOLO-TV in Reno, Nev. (1989-90), and was a weekend reporter at KTVN-TV, also in Reno,from 1987-89. She is an active member of the National Association of Black Journalists, and is a recipient of the 2004 Gracie Allen Award for Individual Achievement in the National Best Anchor category for her breast cancer series. Even before her breast cancer scare, Syler was very active in numerous breast cancer causes. The American Women in Radio and Television also awarded her Television Personality of the Year in 1997. Syler was born at Scott AFB, Ill., and grew up in Sacramento, Calif. She graduated from California State University at Sacramento in 1987 with a degree in psychology. Syler is married to Buff Parham, with whom she has two children.